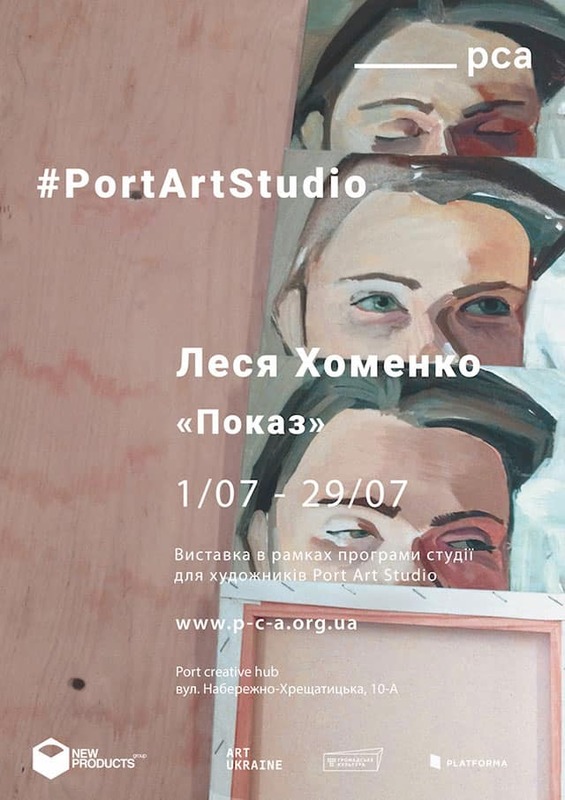 On July 1, in Kiev, a young Ukrainian artist Lesya Khomenko opens her exhibition “Pereglyad” (“Overview”) within the program of #PortArtStudio initiated by _PCA contemporary art platform and New Products Group. The artist will introduce visitors to an unusual art project — copies of her famous works that were granted the status of original. Khomenko consciously interprets the originals, and speaks of the time with the help of visual distortions and deformations. Reading the concept of “here and now” in her own way, the artist questions the exclusivity of the original before the copy, and sees a unifying point of all the works in a loss during the recreation. As a part of “Overview”, Lesya Khomenko — a co-founder and participant of the R.E.P. group, a resident of the Center for Contemporary Arts at Kyiv-Mohyla Academy and Leipzig International Artprogram in Germany, the finalist of the PinchukArtPrize and Future Generations Art Prize — will showcase series of works, including paintings, watercolors and photos. “Overview” by Lesya Khomenko is the fourth of the eight exhibition projects planned for 2016 within the #PortArtStudio with the support of New Products Group. The exhibition will run from July 1 to July 29 (except holidays) from 12:00 to 19:00 in the Port creative hub creative space at the following address: Naberezhno-Khreshchatytska str., 10-A.